Classic Bruschetta Recipe with Tomatoes, Basil, and Olive Oil on toasted Bread. This easy appetizer is always a favorite Way to Begin any Meal! 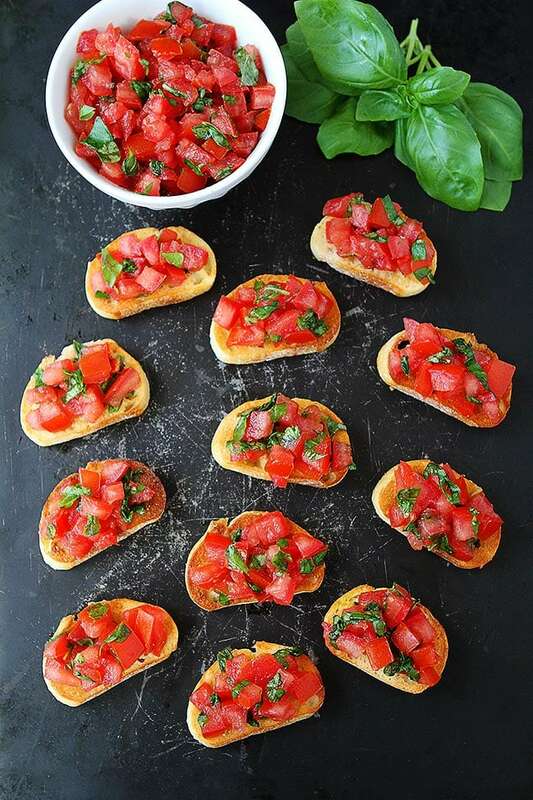 Bruschetta is one of my favorite appetizers or snacks, especially during the summer when tomatoes and basil are in season. We always plant a ton of tomatoes and basil in our garden and are looking for ways to use them up. You can’t go wrong with classic tomato bruschetta. It is the perfect starter for any meal and just about anyone can get behind bread toasted bread topped with garlic, tomatoes, olive oil, and fresh basil.